Born into a dying kingdom, Princess Elena of Garius is certain her intelligence and compassion would make her a better ruler than Prince Leonardo, the man her father insists she marry to rule in her stead . . . a man rumored to have a cruel streak as deep as his father's pockets. 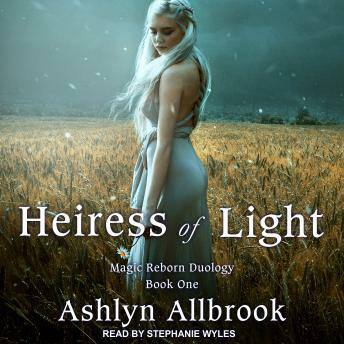 As Elena tries to find a way to protect herself and her kingdom, she learns she is the key to the rebirth of magic into the Kingdom of Light. And her five guards have been preordained to help her-with the touch of their bodies to hers. Magic has been dead so long that most people believe it's a myth. But there's no denying the ache in Elena's chest or the feelings that consume her whenever her guards are near. Wicked feelings no princess should feel for one man, let alone five. The cure for this strange madness is days away. And while her guards have sworn to protect her-even to their deaths-Prince Leonardo isn't so quick to let her go. Not when he believes Elena is the mother of magic. And he wants to claim her as his own.